Today, we have the pleasure of reviewing Worldwide-Pharmacies.com This is a licensed online pharmacy that has been in business for a decade. No need to say, we have high hopes for this pharmacy and hope it won’t let us down. We are sorry to report the About Us Section, and the website overall didn’t give us any good vibes. The company doesn’t care to share any details about itself or its staff in the about us section. It just makes various promises; we hope it lives up to them. On the bright side, it offers excellent customer support with live chat and toll-free number. ScamAdviser gave Worldwide-Pharmacies.com a negative score. The pharmacy scored 0% trust score and is considered high risk. The website is owned by Whois Agent. The domain itself is 17 years old. There are no further issues with the website, but we are amazed that Worldwide-Pharmacies.com has scored very negative ratings. Anyways, we are not getting our hopes up for this pharmacy. 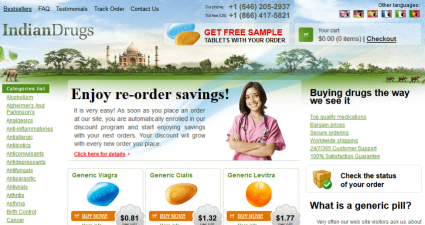 We have established that Worldwide-Pharmacies.com is not a Canadian Pharmacy. Therefore it would be very difficult for the company to get in the good books of the company. We don’t mean to defend the company, but this situation is understandable. CIPA stands for Canadian International Pharmacy Association strictly controls the Canadian marketspace and hardly notices any foreign player. Therefore, we won’t rant about Worldwide-Pharmacies losing this seal. LegitScript also gave Worldwide-Pharmacies.com a negative review and titled the company as Rogue. The company gives a brief explanation of this term; it goes on to define a rogue pharmacy as a company that does fraud business and deceives their customer. The company fails to adhere to the safety standards of the medical market. This is critical because it gives the impression that this company deals with fake products and they pose a threat to your health. PharmacyChecker doesn’t have WorldWide-Pharmacies.com in its database. 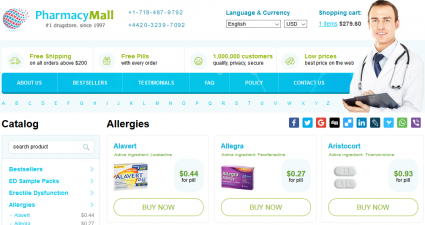 Yes, you heard it right, there is nothing available on this checker about Worldwide-pharmacies.com. This is a big miss for this pharmacy as PharmacyChecker is among the most regarded checker online and it would be a major win if the company managed to obtain its approval. TrustPilot is yet another popular platform that has no details on Worldwide-Pharmacies.com. This is unnerving because it’s a user review site, yes Trustpilot never gives its verdict. Everything it says is a clear conclusion of the user reviews. So yes, we are surprised that the community of Trustpilot has nothing to say about this pharmacy. Yes, there are zero reviews and no rating at all. 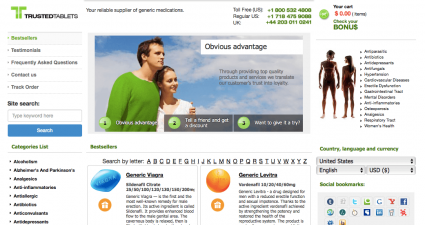 We are very glad that WOT shared its insights about this online pharmacy. The safety rating is unknown, and reputation is 1.6 stars. The trustworthiness rating is 33/100 and child safety rating is 39/100. There is a total of 5 customer reviews, and they are all criticising the online pharmacy for its sub-standards of service. WOT went ahead to categorized this site as misleading and unethical. We believe it is a major blow for the company, and it needs to fix this issue right now. There is nothing available on Google Search Reviews as well. Yes, we know it is becoming sort of a routine, but this is what we have. The company is not investing in any advertisement, and we don’t understand why. This seems like the company doesn’t care about its customers, and doesn’t want to convey it deals in quality. This behavior is common the when the company is trying to hide something, maybe fraud practices. 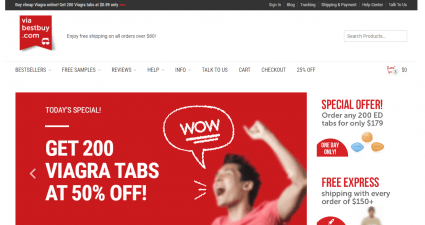 The company doesn’t offer any coupon codes. There are no discount offers or loyalty programs available. This is starting to bug us because the company didn’t even try to advertise itself, and now it’s not offering any discount offers. This shows the company doesn’t seem to care about its buyer. They are tasting the pharmacy as a quick cash grab. After we have reviewed the Worldwide-Pharmacies.com, we shared hard-pressed to ask you to stay away from this brand the company doesn’t care about its customer at all, and it will grab you off for your every cent. It’s in your best interest to stay away. Don’t buy from this company at all. It won’t do you any good. We give Worldwide-pharmacies.com 1 out of 5 stars.